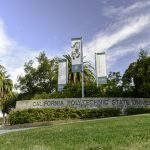 SAN JOSE, CA – The Center for Advancing Women in Technology (CAWIT) announced that University of California, Riverside (UC Riverside) has joined the Technology Pathways Initiative (TPI), which seeks to expand and enrich the U.S. workforce with a diverse pool of college graduates equipped to be innovators and leaders in the digital economy. CAWIT Board Chair, Belle Wei, said, “We welcome UC Riverside, renowned for its innovative academic programs, into the alliance of universities moving TPI forward to educate current and future generations of students who will expand the frontiers of technology.” Dr. Wei is Carolyn Guidry Chair, Engineering Education and Innovative Learning, and former Dean, College of Engineering, San José State University. “Through cross-campus collaboration, we will create new interdisciplinary degree programs that integrate curricula in computer science, statistics, and domain areas (e.g. astronomy, biology, and economics) in which data science can be applied,” said Kathryn Uhrich, Dean, College of Natural & Agricultural Sciences. “To diversify recruitment in computing, and to support student learning cohorts enrolled in the new interdisciplinary programs, UC Riverside will engage in TPI university/industry conferences, workshops and other events, creating a vibrant social network of students, faculty and industry mentors,” said Marek Chrobak, Chair, Department of Computer Science and Engineering. TPI universities include Cal Poly San Luis Obispo, San Francisco State University, San José State University, UC Berkeley, UC Davis and UC Riverside. TPI university pilot programs are supported by a $3 Million gift from TPI industry partners Intel Corporation, KLA-Tencor Foundation, and Salesforce, which provide mentoring and internships for participating students. Visit UC Riverside at ucr.edu, engr.ucr.edu.